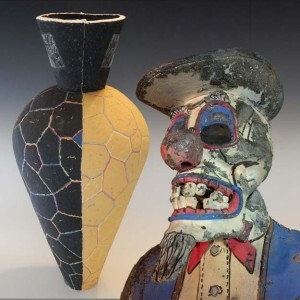 South Texas College begins its 11th annual ceramics exhibition and workshop, “More than Coincidence: Continuations in Clay” to the Rio Grande Valley with an opening reception on June 22 at the Pecan Campus Library Art Gallery. The exhibit will be on view from June 22 to August 11, 2017, at the Library Art Gallery and at the Art Building B Gallery, located at 3201 West Pecan Blvd. in McAllen. 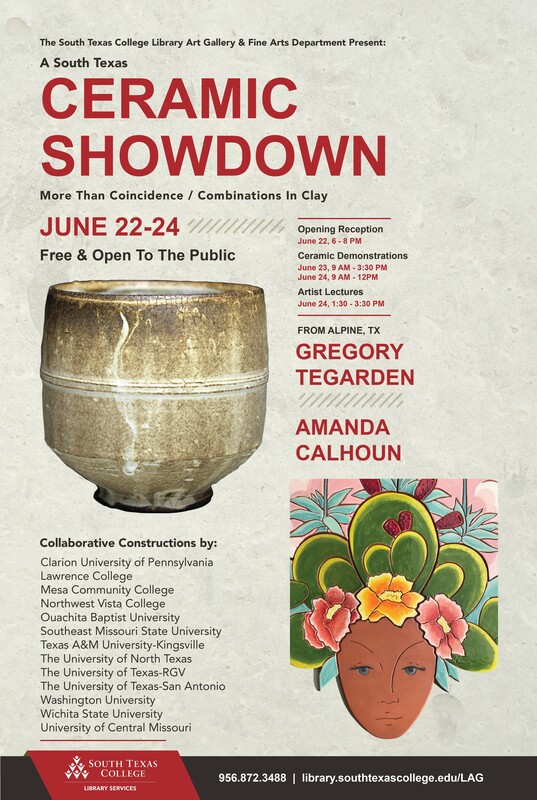 The event includes a full display of ceramic work by distinguished Texas ceramicists Gregory Tegarden and Amanda Calhoun as well as ceramic work from 12 universities and community colleges across the U.S. 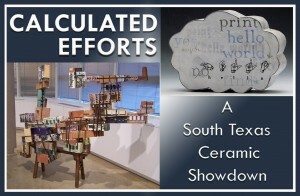 The three-day South Texas Ceramic Showdown will begin with an opening reception on June 22 at the Pecan Campus Library Art Gallery and the Art Building B Gallery from 6 p.m. to 8 p.m. The conference will continue with Ceramic Demonstrations on June 23 from 9 a.m. to 12 p.m. and then from 1:30 p.m. to 4:30 p.m.
One more demonstration will take place on Saturday, June 24 at 9 a.m. to 12 p.m. at STC’s Pecan Campus Art Building (Bldg. B) Ceramics Lab. Art talks will be held on that day from 1:30 p.m. to 3:30 p.m. at the same location. All activities are free and open to the public. 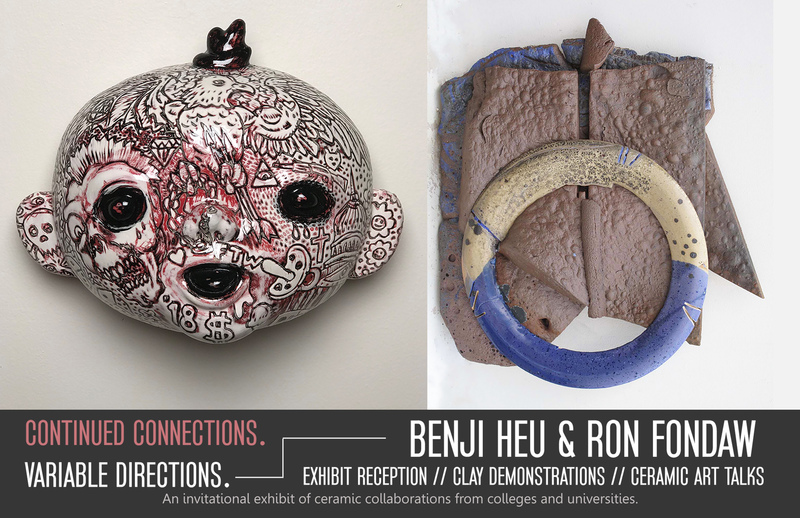 Participating institutions in the collaborative ceramic constructions include: Clarion University of Pennsylvania, Mesa Community College, NW Vista from the Alamo District Colleges, Ouachita Baptist University, Southeast Missouri State University, Texas A&M University – Kingsville, The University of North Texas, The University of Texas Rio Grande Valley, The University of Texas San Antonio, Washington University, and Wichita State University. Gregory J. Tegarden is an Assistant Professor of Art at Sul Ross State University in Alpine, Texas. He received a Master of Fine Arts with a focus in Ceramics from Texas A&M University – Corpus Christi and a Bachelor’s of Science in Botany from Sul Ross State University. He is trained in the traditional Thai method of coil building or turning large ceramic vessels. His studio work consists functional ceramics that are influenced by the desert southwest and the austere environment found inside a kiln. Amanda Calhoun embraces kitsch and her work is greatly influenced by classic films and television shows. Having worked for a handmade ceramic tile studio for fourteen years, she developed a love and a skill set for making tile. In this exhibition, she honors the women in her life with freeform tile portraits adorned with a headdresses of personal imagery. 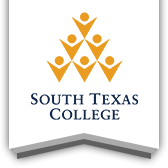 For more information contact Gina Otvos at (956) 872-3488, or via email at gotvos@southtexascollege.edu or visit https://library.southtexascollege.edu/lag. 1:30pm – 3:30pm Ceramics Art Talks w Pat Johnson and Jim Bob Salazar, STC Building B, Room 129. South Texas College’s Library Art Gallery, together with the college’s Visual and Performing Arts Department, brings the Rio Grande Valley its tenth annual ceramics exhibition and workshop, “Constants and Variables: A South Texas Ceramic Showdown.” All activities are free and open to the public. The exhibit will be on view from June 16 to July 25, 2016, at the college’s Pecan Campus Library Art Gallery and at the Art Building B Gallery, located at 3201 West Pecan Blvd. in McAllen. The event includes a full display of ceramic work by distinguished Texas ceramicists Jim Bob Salazar and Pat Johnson as well as ceramic works by students and professors from 13 regional universities and community colleges. 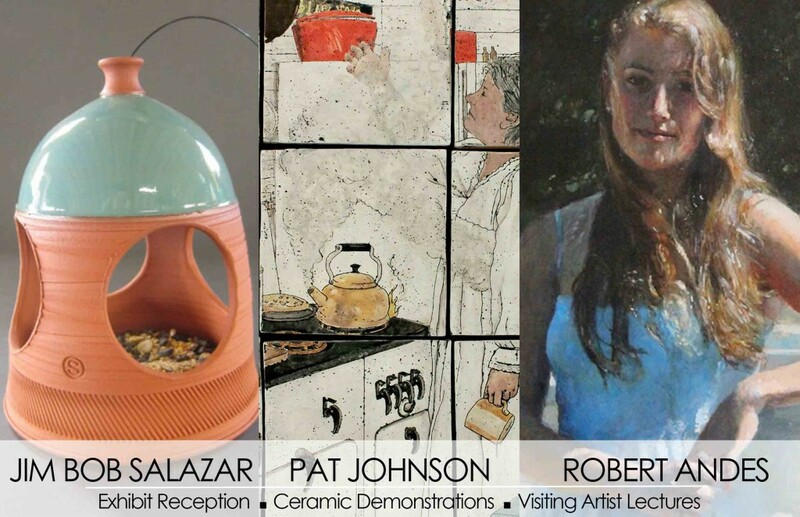 A three-day ceramics conference will begin with an opening reception on June 16 at the Pecan Campus Library Art Gallery and the Art Building B Gallery from 6-8 p.m. 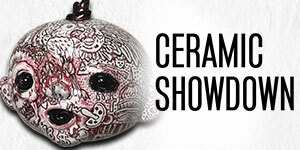 The conference will continue with Ceramic Demonstrations on June 17 from 9 a.m. – 12 p.m. and 1:30 – 4:30 p.m., and June 18 at 9 a.m. – 12 p.m. at STC’s Pecan Campus Art Building (Bldg. B) Ceramics Lab, Room 115. Art talks will be held on Saturday, June 18 from 1:30 – 3:30 p.m. at the same location. Jim Bob Salazar received his Master of Fine Arts degree from the University of North Texas in Denton. In 1998, he moved to Alpine, Texas where he taught ceramics, along with sculpture, photography and design, for nearly fifteen years near Big Bend National Park at Sul Ross State University. In 2013, he decided to retire from teaching and pursue pottery full time. Salazar creates highly skilled, functional pottery and is an active exhibitor in Texas, participating in over 25 art festivals a year. Pat Johnson has been working in clay for over 40 years. About her work, Johnson says, “Creating art helps me clarify what I feel and believe. Be it a social, political statement or a personal one.” Her work has been featured in many solo and group shows in Texas including the McNay Art Museum in San Antonio, D. Berman Gallery in Austin and Hooks-Epstein Gallery in Houston as well as during numerous ceramic annual conferences. In addition to her extensive studio practice and exhibit history, Johnson has been commissioned for ceramic tile murals for the College Station Public Library, Monument Hill State Park, Sacred Heart Catholic Church and other murals in Longview, Waco and Austin. She has won awards from the Texas Clay Artist Association and her work is included in the book 500 Tiles: An Inspiring Collection of International Work. Participating institutions include Baylor University, Clarion University of Pennsylvania, Mesa Community College, McLennan Community College, Northwest Vista College, Ouachita Baptist University, Old Dominion University, South Texas College, Southeast Missouri State University, Texas A&M University-Kingsville, University of Central Missouri, University of North Texas, University of Texas Rio Grande, and University of Texas San Antonio. 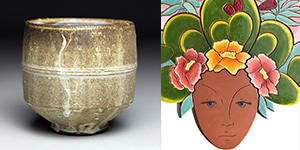 While you observe the exhibit which will be on view from June 11-August 7, also take note of the library’s vast collection of Ceramics books and magazines. For more information about the exhibit and about the Library Art Gallery, visit their website: library.southtexascollege.edu/libraryartgallery/. These books are available to check out! The book display is on the 2nd floor of the Pecan campus library. South Texas College’s Library Art Gallery partners with the college’s Visual Art Department and the University of Texas-Pan American in order to present the RGV’s eighth annual ceramics exhibition and conference, “Challenging Conventions: A South Texas Ceramic Showdown.” The full exhibition includes collaborative pieces from 12 universities and community colleges. The pieces will be at both the STC Library and UTPA’s Visual Art Gallery. The exhibit will be on view from June 11-August 7, 2015. A special ceramic art talk by, Tom Belden of Central Arizona College and Gary Greenberg Clarion University of Pennsylvania, will take place on Thursday, June 11 from 5-6 p.m. just before the opening reception which is being held from 6-8 p.m. at STC’s Pecan Campus Library, located at 3201 West Pecan Blvd. in McAllen. The following day at UTPA there will be a free, two-day conference and workshop taking place on Friday, June 12 and ending Saturday, June 13 at UTPA’s Visual Arts Building Ceramics Lab. All activities are free and open to the public. The conference includes clay demonstrations and talks by nationally recognized and distinguished ceramic artists, Tom Belden of Central Arizona College and Gary Greenberg of Clarion University of Pennsylvania. Both ceramicists are M.F.A. graduates of Arizona State University, and they bring with them over 40 years of experience exhibiting nationwide, teaching, and working in the medium. Among Tom Belden’s vast accomplishments, he was instrumental in establishing Central Arizona College’s Gallery, and he has served as gallery director and curator for the past fourteen years at Central Arizona College. Gary Greenberg’s work has been featured in solo exhibitions at the University of Missouri, Adams State College in Colorado and the Stretch Gallery in North Carolina to name a few. 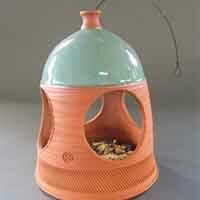 Greenberg serves as director of Disco Inferno, the tri-annual firings of the Clarion University wood-fired, anagama kiln. Participating institutions include Texas A&M University-Kingsville, The University of Central Missouri, The University of Texas-San Antonio, Clarion University of Pennsylvania, Texas Tech University, The University of Texas at Brownsville, The University of Texas-Pan American, Kent State University, Mesa Community College, South Texas College, Tarrant County College, Cuyahoga Community College. For more information contact Gina R. Otvos at 956-872-3488 or email gotvos@southtexascollege.edu. For a complete listing of exhibits, visit library.southtexascollege.edu/libraryartgallery. South Texas College’s Library Art Gallery, together with the college’s Visual Arts and Music Department, brings the Rio Grande Valley its annual ceramics exhibition and workshop, “Calculated Efforts: A South Texas Ceramic Showdown.” All activities are free and open to the public. The event includes a full display of ceramic works by art students and professors from regional universities and community colleges. The exhibit will be on view from June 2 to Aug. 8 at the college’s Pecan Campus Art Building Art Gallery, located at 3201 West Pecan Blvd. in McAllen. A two-day ceramics workshop will take place on June 13 from 9 a.m. – 12 p.m. and 1:30 – 4:30 p.m., and June 14 at 9 a.m. – 12 p.m. at STC’s Pecan Campus Art Building (Bldg. B) Ceramics Lab, Room 113. Art talks will be held on Saturday, June 14 from 1:30 – 3:30 p.m. at the same location. An exhibit reception will be held on June 12 in the Visual Arts and Music Gallery and the Pecan Campus Library Art Gallery from 6-8 p.m. Participants will see clay demonstrations by nationally recognized and distinguished ceramicists Fred Spaulding and Jennifer Quarles. Spaulding earned his Master of Fine Arts from the University of Connecticut. He is currently associate professor of art at Tarrant County College in Fort Worth and has completed further study through residencies at Kohler’s Arts in iron casting and Penland’s Winter Residency in Printmaking. Spaulding continues to work, exploring the possibilities of constructed structures of brick. Quarles earned her Master of Fine Arts from Texas Women’s University. Since 2002, her work has been featured in both regional and national exhibitions. In addition, Quarles works with the Texas Clay Arts Association (TCAA), a non-profit organization that promotes ceramics in Texas. Her work explores our constant drive to record and share information, as well as our inherent desire to connect to one another. For more information contact Dawn Haughey at (956) 872-3488, or via email at dhaughey@southtexascollege.edu or Chris Leonard at (956) 872-2668, or via email at cpleonar@southtexascollege.edu or visit https://library.southtexascollege.edu/newsevents/libraryartgallery/. 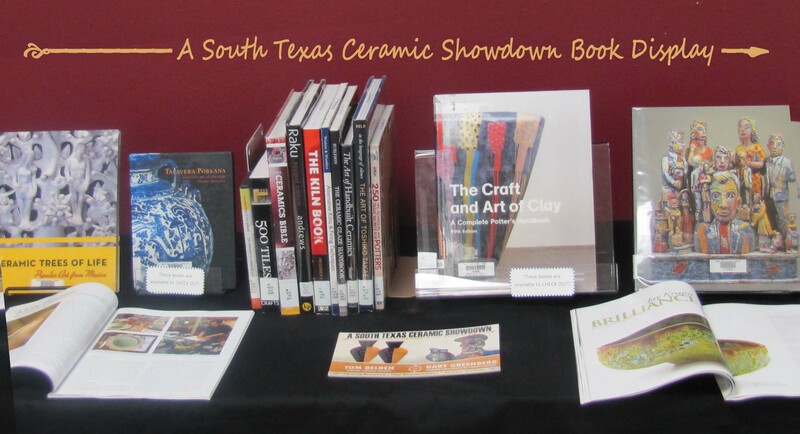 STC’s Library Art Gallery and the Visual Arts & Music Department present “A South Texas Ceramic Showdown: Clear as Mud.” This is the seventh year we’ve collaborated with VAM on the Ceramic Showdown, and this one is going to be great. 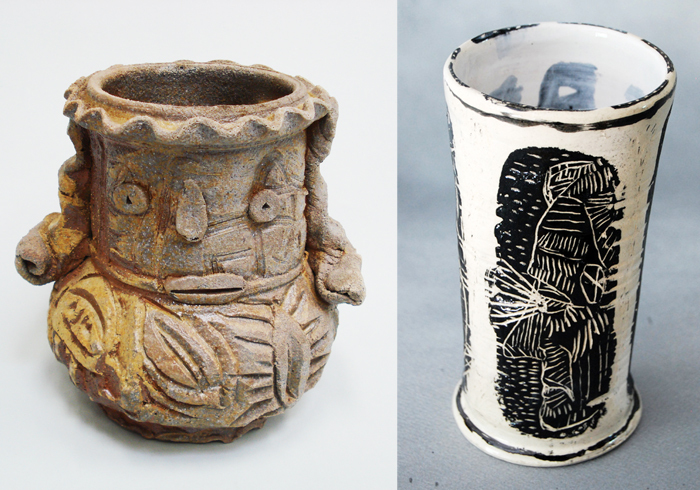 We will be featuring ceramic works by nationally recognized and distinguished ceramicists Kirk Mangus and Billy Ritter. Mangus earned his Master of Fine Arts from Washington State University. He has been the Head of Ceramics at Kent State University since 1985 and has taught at numerous institutions including the Cleveland Institute of Art and the University of Georgia Athens Cortona, Italy Program. Ritter earned his Master of Fine Arts from Kent State University. He currently works as a Ceramics Instructor/Ceramic Lab Technician at the Art House Inc. in Cleveland, Ohio and as a Ceramics Instructor at the Orange Art Center in Pepper Pike, Ohio. An exhibit reception will be held on June 6 in the Visual Arts and Music Gallery and the Pecan Campus Library Art Gallery from 6 to 8 pm, respectively. A two-day ceramics workshop will be held June 7th from 9 am – 12 pm and 1:30 – 4:30 pm and June 8th at 9 am – 12 pm at STC’s Pecan Campus Art Building Ceramics Lab, Room 113. Art talks will take place Saturday, June 8 from 1:30 to 3:30 pm. The exhibit will remain on display until August 12, 2013. Noel Palmenez earned an MS from Texas A&M University and an MFA from The University at Texas Pan-American in painting, drawing and sculpture. He currently teaches at UTB Brownsville. The exhibit opens Thursday, June 6 and will be on view through Friday, August 12, 2013. Artist talks will be held on the opening day at 2:30 p.m. and 5:00 p.m. at the Pecan Campus Library Rainbow Room. Reception will follow from 6 pm – 8 pm on the library’s 1st floor. Lectures and receptions are always free and open to the public! Please see the flyer below and be sure to share it with your friends and family. For more information contact Gina Otvos at 956-872-3488 or libraryart@southtexascollege.edu, or visit the Library Art Gallery website. South Texas College’s Library Art Gallery Program, together with the college’s Visual Arts and Music Department, brings the RGV its annual ceramics exhibition and workshop, “A South Texas Ceramic Showdown: Wedged Together.” All activities are free and open to the public. The event includes a full display of ceramic works by art students and professors from regional universities and community colleges. The exhibit will be on view from June 4 to August 13, 2012 at the college’s Pecan Campus Art Building Art Gallery located at 3201 West Pecan Blvd. in McAllen. 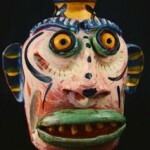 A two-day ceramics workshop takes place June 15 and 16 at STC’s Pecan Campus Art Building Ceramics Lab, Room 113. Art talks will take place Saturday, June 16 from 1:30 to 3:30 p.m. at the same location. An exhibit reception will be held on June 14 in the Visual Arts and Music Gallery and the Pecan Campus Library Art Gallery from 6 to 8 p.m. 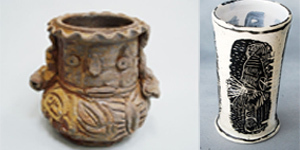 Participants will see clay demonstrations by nationally recognized and distinguished ceramicists Billy Ray Mangham and Pat Johnson. Mangham earned his Master of Fine Arts from Stephen F. Austin University in Nacogdoches, Texas. He taught at the Austin Museum of Art and Austin Community College for 10 years and currently runs the Eye of the Dog Art Center in San Marcos, Texas with his wife Beverly. Johnson earned her Bachelor of Fine Arts from North Texas State University. She currently runs the Live Oak Art Center in Columbus, Texas and has been involved in civic affairs, ranging from serving as a precinct judge, to working on environmental matters. For more information contact Dawn Haughey at 956-872-3488 or at libraryart@southtexascollege.edu, or visit Library Art Gallery Website. Howdy Readers! If you’ve wandered the halls of the Pecan Campus Library this June, you may have noticed our two fantastic new art installations! If you haven’t, come by the second floor and check out these exhibits. 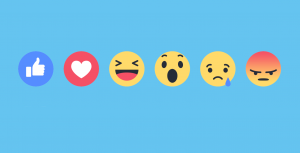 They are definitely something different, and it’s free! 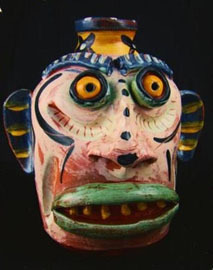 Carl Block, “Face Jug,” earthenware clay, colored slips and glaze. South Texas College’s Art Department, together with the college’s Library Art Gallery Program, presents “A South Texas Ceramic Showdown: Up and Down and All Around.” Featuring the RGV’s fourth annual ceramics exhibition and conference, the event includes a full display of ceramics works by art students and professors from 11 regional universities and community colleges. Participating institutions include South Texas College, The University of Texas-Pan American, The University of Texas at Brownsville/Texas Southmost College, The University of Texas at San Antonio, Tarrant County College, Texas A&M Kingsville, Galveston College, Central Arizona College, Kent State University and Northwest Vista College. The exhibit will be on view from July 8 to September 4, 2010. A reception will be held on Saturday, July 17 from 4 to 6 p.m. at STC’s Pecan Campus Library Art Gallery, Bldg F. located at 3201 W. Pecan Blvd. in McAllen. The free, two-day conference and workshop begins Friday, July 16 and ends Saturday, July 17 at STC’s Pecan Campus Art Building Ceramics Lab. Art talks will also take place Saturday, July 17 from 1:30 to 4 p.m. in the college’s Pecan Campus Library Rainbow Room. All activities are free and open to the public. 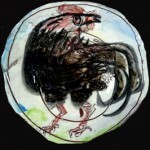 Max Butler, “Rooster Platter,” Eathenware. The conference includes clay demonstrations and talks by Carl Block of Flatland Pottery and Max Butler of Butler Pottery. Both ceramicists are graduates of The University of North Texas, currently teach at Texas ISD schools, own clay studios, and are active musicians. Among Block’s vast accomplishments, his work is featured in permanent art collections including the Smithsonian Institute in Washington, D.C., Rice University, The University of Houston, The Chinati Foundation, and the personal collection of former president George H. Bush, to name a few. Butler studied in France and was apprentice to Jean Louis Gaudin. In 2004, he received the prestigious Fulbright Memorial Grant to study in Japan. 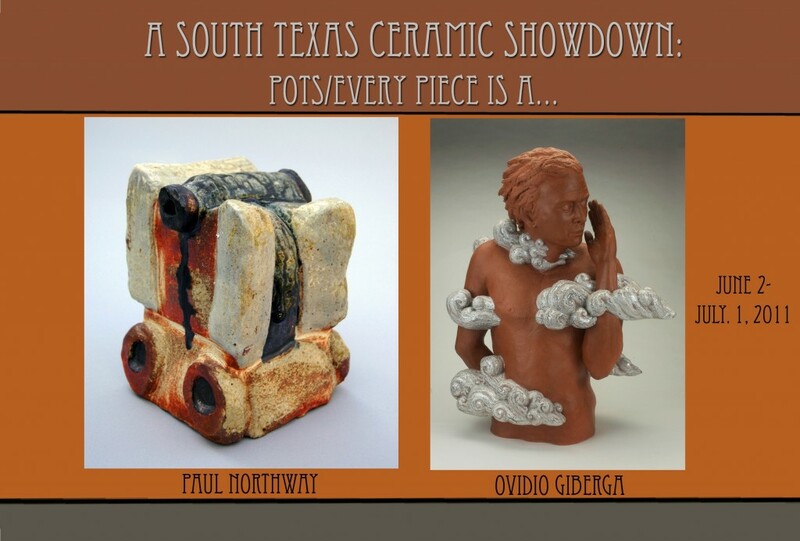 “We are pleased to have Block and Butler as our featured clay artists for ‘A South Texas Ceramic Showdown,’” said Chris Leonard, STC ceramics instructor and conference organizer. “As friends, Block and Butler share a history of creating utilitarian forms that are delightful. They don’t decorate, they do. For more information contact Sofia K. Vestweber at 956-872-3488 or at libraryart@southtexascollege.edu, or visit the Library Art Gallery Website.